JEREMY CLARKSON HAS responded to the news of his BBC suspension online – and somewhat unsurprisingly, he doesn’t seem to care a jot. Earlier this evening, the BBC confirmed that Clarkson had been suspended after getting into a ‘fracas’ with a producer, and said that this week’s episode of Top Gear would be cancelled. 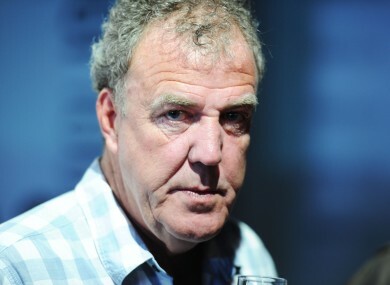 It didn’t take the presenter long to have a jab at his suspension on Twitter – and in typical Clarkson fashion, there have been absolutely no f**ks given. Since the news broke this evening, a campaign has sprung up on social media asking the BBC to lift the suspension on Clarkson – fans of Top Gear are tweeting the hashtag #BringBackClarkson, and a petition has even been set up asking the Beeb to reinstate him. Even more proof that Clarkson cannot be tamed. Email “Here is Jeremy Clarkson's response to getting suspended by the BBC”. Feedback on “Here is Jeremy Clarkson's response to getting suspended by the BBC”.